The 150 hr module "Evolve as a Teacher" includes Therapeutic Elements of Yoga which is the process of empowering individuals to progress toward improved health and wellbeing through the application of the teachings and practices of yoga. It provides a balanced mix of theory and practical study, viewing the person as an individual rather than a fixed condition. As a holistic science yogic tools are used to address the different dimensions of human experience; the physical, mental, emotional, intuitive and spiritual aspects. As a teacher you will expand your teaching knowledge and skills, deepen into self and embody yogic wisdom. What stands out about this module is the hand-picked specialist teachers that you will experience a mini immersion with. These teachers have decades of embodied experience, developed and taught on teachers trainings and are international presenters on specialized topics. The synergy of this collaboration will be like no other. You will be taken on a journey from in-depth mechanics and functional anatomy through to the subtle practices related to Chakras, Gunas and Koshas. 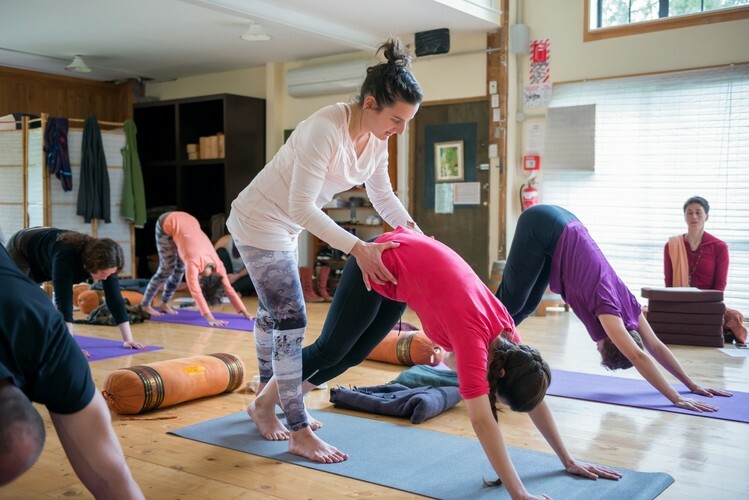 This 150 hr module is part of our 300 hr Advanced Yoga Teacher Training; prerequisite for this training is a Yoga Alliance accredited 200 Hour Teacher Training. Together with the 150 hr module "Yoga Nidra & Restorative Yoga" Graduates can apply for international accreditation through Yoga Alliance, becoming a RYT 500.